We had a brief encounter with the standard Asus Zenfone 3. Check what what we think about the handset in our hands-on and initial impressions article. 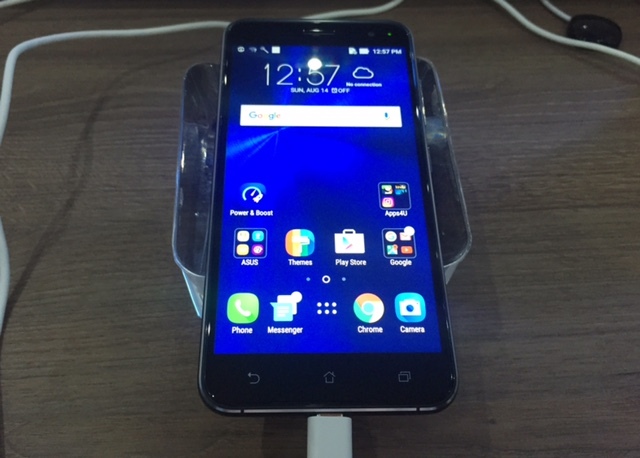 The Asus Zenfone 3 debuts in the Philippine market where it is once again expected to bring a premium Android experience into an affordable price standpoint. Unlike last year's flagship variant, this year's standard Zenfone 3 does not qualify as the top of the line, yet it registers to be pricier than last year's offering. Asus has many points to justify that you need to shed out more grands for the 5.5-inch Zenfone 3 ZE552KL. We saw it first-hand and we document what we think of this highly-anticipated smartphone. 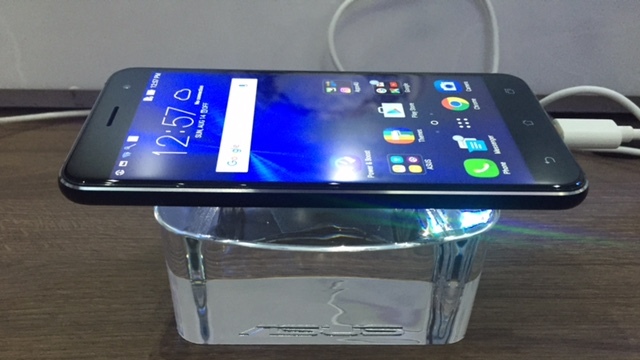 The Asus Zenfone 3 is edgier compared to its curved-back plastic predecessor. Among the Zenfone 3 smartphones, I must say that the base variant has the best look. The striking spun-metal is a radical change from last year's hardware. This year, the Zenfone 3's design philosophy is defined by a metal-and-glass construction with front and back panels treated with Gorilla Glass. It's premium, but the build is not something we see in high-end Android smartphones. 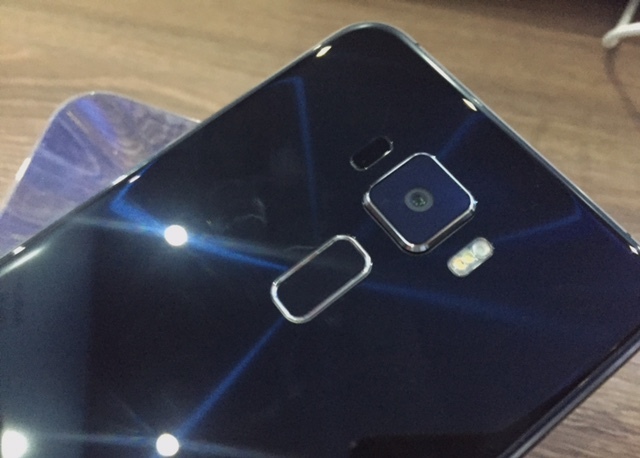 Antenna bands are also visible around the device in contrast to the pricier Zenfone 3 Deluxe and Ultra. However, I think I will never trade the Zenfone 3's design to any smartphone on its category. In terms of hardware, Asus pointed out that the Zenfone 3 is the first smarthpone to use the Snapdragon 625 which churns with eight cores of Cortex-A53 running at 1.8GHz speed. There's also an Adreno 506 to keep everything smooth in the graphics department. Initial taps and swipes on the device's display are quite smooth; but of course, we need to have a longer time with the handset to draw out conclusions on how it would fair with other upper mid-tiers. Other notable features include the 3000 mAh battery, USB Type C and the rear-mounted fingerprint sensor. The display is still vibrant as ever. Asus Zenfone 3 retains a FHD IPS LCD panel for both the 5.5-inch ZE552KL and 5.2-inch ZE520KL. In a small time that I had with the handset, I feel that a full HD panel is just the right formula for a legit display. Of course, I won't complain if ever I see a Zenfone with 2K display. Asus is serious in pushing its Zenfone handsets in the higher-end portion of mobile photography. With the Zenfone 3, the Taiwanese giant managed to squeeze in a 16-megapixel Sony IMX298 sensor. The PixelMaster 3 camera is marketed with a TriTech autofocus; the feature technically combines the existing focus technologies in mobile photography - second generation laser autofocus (AF), phase detection AF and continuous AF. We have subjected the Zenfone 3 in an on-site shaker module, the results are quite impressive in terms of image stabilization. Zenfone 3 also packs a 4-magnet speaker system which spits high-definition audio from it pipes. Zenfone 3 ticks with Android 6.0 Marshmallow right out of the box. Asus' proprietary skin, ZenUI, now in its 3.0 version is still confused on its roadmap. We still see a number of clattered apps and bloatwares. However, it's a breath of fresh air that the current ZenUI iteration offers several theme customizations for you to choose from. The round icons still gives the UI's identity among the sea of off-shoot Android skins. The standard Zenfone 3 (ZE552KL, ZE520KL) is definitely a scene-stealer in terms of design and performance. In our brief encounter with the handset, I had a worthwhile interaction with its interface. Since it's the ambassador of the Snapdragon 625, we could expect that devices using the same chipset will have the same case. In terms of pricing, the Php 16,995 and Php 18,995 might be a bit pricier than expected. However, it still falls in a tolerable clause knowing that its build and feature set are directly gunned to the Samsung Galaxy A7 which cost Php 4,000 more. Another competition comes from the OnePlus 3. 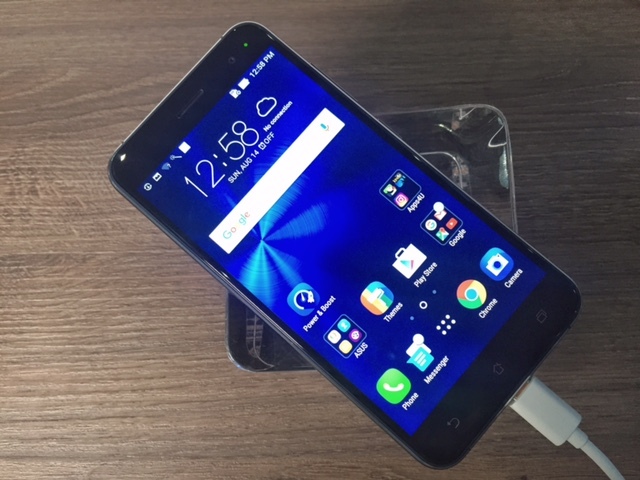 But its scarce availability in the Philippine market makes it is safe to say that the Asus Zenfone 3 could be the most popular handset in this price standpoint.